"I met Joe Magazzi and his wife Emily literally years ago. I think at a NOFA conference. As a landscape designer and contractor I have always been organic - using all the standard Plantone, bone meal products as well as compost. 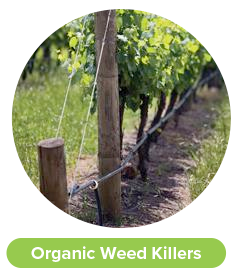 But organics needed more literal power to actually equal and surpass the "Scotts" and other pesticide laden 3-5 step programs; and to eliminate the 4-6 pesticide/fungicide tree sprays that were literally killing every living organism. Joe is a scientist; knowledgeable, well trained, well read and eternally curious. 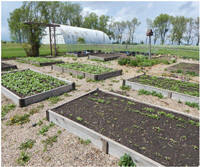 He has put together the products and a method to propel organics forward at rocket speed. He encourages testing of products such as Quantum, Wonder soil - just check his list. Because of his work we at Breath of Spring Landscaping can, now save trees, transplant with ease, grow new lush organic lawns, have sod set roots in 5 days. All because of Joe's knowledge, advice and products are so superior. Thank you, Joe!" "I wish all companies would operate like Joe and Emily of Green Earth Ag & Turf. They not only sell organic products that work well, but their customer service is second to none. They will go above and beyond to help you. When I ask a question about a product I will get a scientific answer, not a sales pitch. It's great having a supplier that makes your company look better. Thank you." "We started using Green Earth Turf and Ag's entire line of Quantum products five years ago at our small vegetable and flower farm and it has been one of the best decisions we have ever made. Not only have we seen greatly improved seedlingstrength and transplant success, but also a substantial increase in yield and overall health in our mature plants. Best of all, Joe and Emily are an utterly invaluable resource, redefining the concept of customer service. We affectionately refer to them as our "R&D Department", as they are more than just business owners trying to promote a product. They are highly knowledgeable scientists that really care more about your success as a grower than whether or not you will buy their product. " "Smart, dedicated, enthusiastic staff. I'm looking forward to working with you this year to find lots of innovative organic solutions for responsible land care. 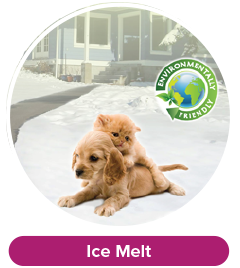 "I wanted to inform you that the ECO Green ice melt we ordered from Green Earth AG & Turf is absolutely wonderful! Ordering and shipping is without a doubt, fantastic. We are very pleased with your service. We love the product. "Quantum is awesome stuff, used it for the first time a little over a week ago, saw a change in our 30,000 Sq. Ft Giving Garden in 48 hours noticeably greener and happier. Thanks to Rob at Hunts Brook Farm for the heads up and Joe for GREAT customer service." 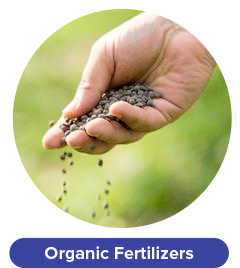 "The world of fertilizer is a confusing place and I was looking for an organic fertilizer that really worked. I hit the jackpot when I found Green Earth Ag & Turf. A few emails and a couple phone calls with Joe and I had my products - Quantum Growth and Neptune’s Harvest as a combo. This stuff is AMAZING! You can see the products working in a matter of a day or two! The plants just flourish. Superb customer service AND products that work in one company--I’m a loyal customer from here on in!" "I am a board member of a condo complex in Florida. We had a horrible flea problem on the grounds, receiving many complaints of infestations and ankle bites from many of our residence. 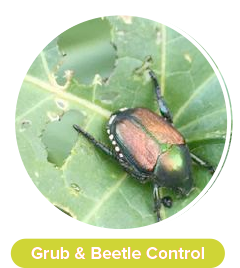 I called Green Earth Ag & Turf to see if they had an organic solution for fleas. 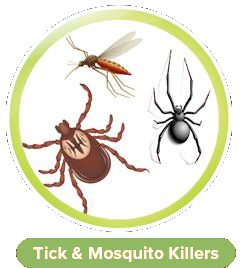 They recommended Tick Killz and shipped it right out. We applied as the instructions stated and our flea problems were almost completely wiped out. I spray once a month and we have not had an issue in the 14 months since I started using the product. 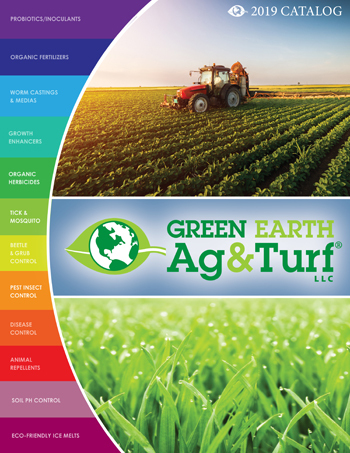 We are now looking to expand to an organic lawn care program from Green Earth Ag & Turf as well. Thank you for improving the quality of life of at our complex!"